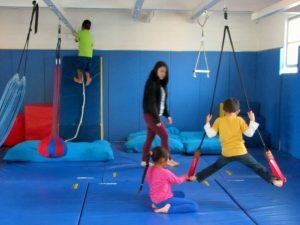 The school provides activities for the development of language skills, cognitive growth, fine and gross motor skills and adaptive behavior to preschool children with learning delays. 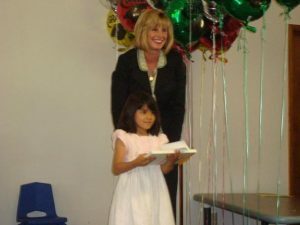 Located in Oxnard, California, Assistance League School is a state-certified special education preschool that provides educational and therapeutic intervention to young children with special needs. The school is specifically designed to serve children whose primary area of concern is the lack of age-appropriate communication skills. The school promotes growth and development through a therapeutic multi-disciplinary approach. Three main centers, staffed by Special Education teachers, Speech/Language Pathologists and support staff, offer a diverse and intensive learning experience designed to meet the individual needs of each child. Established in 1960 to provide educational services to an unserved population of children with special needs, the school has been certified since 1981 by the Nonpublic Schools Division of the California Department of Education. Owned and operated by Assistance League, students are referred by four local school districts. The school works with local education agencies to develop an Individual Education Plan for each student. Goals are developed which will f acilitate academic achievement, fine motor skill development, speech and language proficiency and gross motor movement. In a small, supportive environment, students receive a variety of educational and therapeutic services from a multi-disciplinary staff. 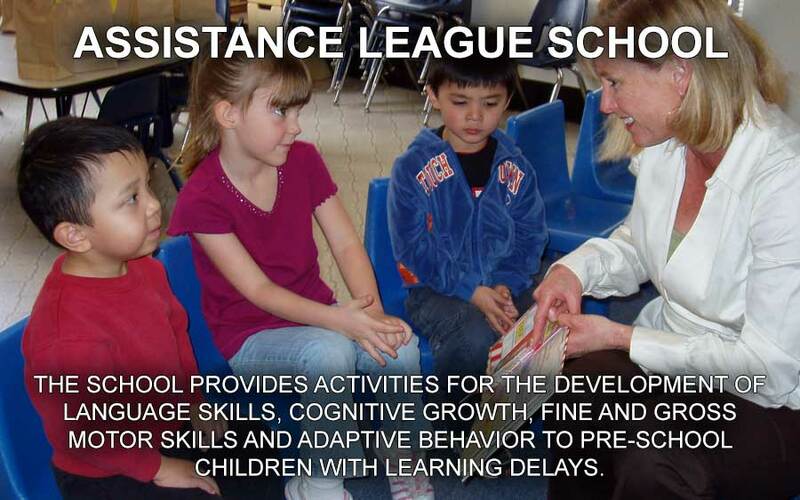 Typically serving 45-50 preschoolers, it is the goal of Assistance League School to help each child reach his or her optimal developmental level prior to enrollment in kindergarten. The gift of early intervention is difficult, if not impossible, to assess. However, based on the overwhelming number of letters and comments received from grateful parents, it is clear that the work done at the Assistance League School has life-long implications on the development and progress of every child who attends the school. At the school, the special education teachers and therapists work as a team to actively and effectively prepare the children to integrate into kindergarten classrooms in their communities. June is an exciting time of the year for families and students at Assistance League School. Cameras and smart phones are busy snapping pictures of the graduation celebration as teachers praise students for their hard work and academic accomplishments. The graduating five and six year olds have been working hard to improve their speech and language skills, fine motor skills, academic readiness skills and social and emotional skills. Some of the graduates have attended the school since they were three years old. They have been challenged with their special educational needs to succeed in the academic world. With the guidance of the highly educated school staff, these students have learned strategies to help overcome their special needs.